The work of psychologist Jordan Peterson hints to me of a new Integral synthesis of a "world that works for everyone." So I'm migrating this blog to Medium.com where I can write alongside very smart and full-hearted people who are working to get their arms around the possibilities. [April 16, 2018] The sun is rising in you. Your evolutionary purpose reveals itself through your hurts and your hungers. This was the message of the introductory portion of a workshop by Saniel Bonder and Linda Groves Bonder that I attended last weekend. 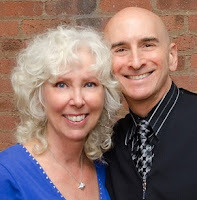 Saniel is founder of the Waking Down personal growth process, and Linda is his full partner in that work. The workshop was co-sponsored by my Meetup, DC Integral Emergence. One of the participants, Barbara, commented that "purpose" means something different to her as she ages. I resonated with that. In my case, purpose feels more about process than outcome. In fact, I spent much of the evening musing on the hunger that arose in me during a recent trip to a quirky small town in the desert near Las Vegas. It arose in me as a hunger for geographic community--not just having it, but the process of creating it. I've been fantasizing the many ways a person can help build community in a place where everyone crosses paths once a week to check their mailbox at the post office. The town is Chloride, Arizona. 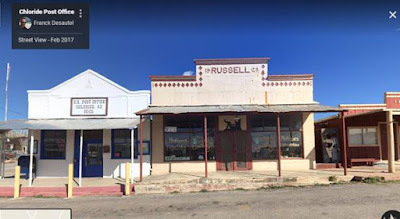 It's an old wild west mining town now inhabited by retirees who re-enact gunfights for tourists on weekends. With 250 residents and two saloon-style restaurants, it's just the right scale for knowing one's neighbors. 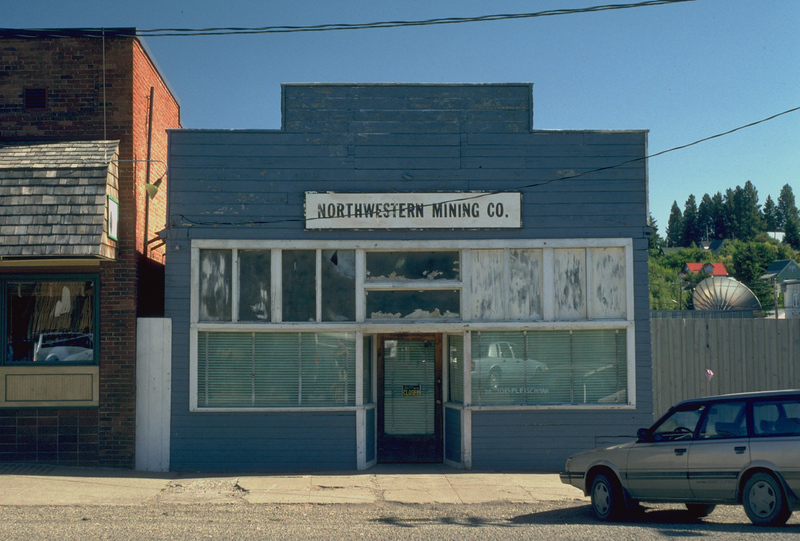 Chloride reminded me of another town that's held my heart for decades--Cicely, Alaska, locale of the old TV series Northern Exposure. Downtown Chloride, Arizona with post office at left. Doctor's office in Cicely, Alaska, locale of "Northern Exposure"
In the best episode of the best TV show of all time, we flash back to the founding of Cicely in its days as a wild west mining camp. Two women, Cicely and Roslyn, undertake to bring culture and upliftment to the lawless spot. In the short term, it doesn't end well, as seen in the quick video clip below. But in the long term, the town shines. What is seeking to shine through you? That is the question the Bonders led us in pondering. My passion for honoring one's opponent was honed in my two-year dialog with a fundamentalist Bishop as told in our book: The Bishop and The Seeker. The Bishop and I recreated a few of our dialogs as local TV interviews on Channel 10 in Fairfax, Virginia. MY OTHER BLOG follows interfaith adventures that stem from our book. Transpartisan Values 1: Liberal AND Conservative? Interested in the interface between reason and religion, I'm a gently fallen-away Catholic who became enthralled by the New Thought teachings of Ernest Holmes. Then Ken Wilber's Integral Theory saved me from the fringe parts of New Age and softened me up for an adventure at a black, fundamentalist church--which in turn led to the amazing adventures in my book. Quite a journey! I also now coordinate the DC Ken Wilber Meetup. 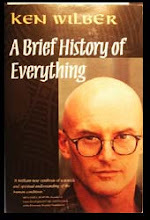 My favorite book by this Integral philosopher is "Brief History of Everything"
Orange rationality needs to relax its hatred of amber spirituality... Wherever ethnocentric fundamentalist beliefs run into worldcentric reason and postconventional morals ... the world's great religions are the only sources of authority that can sanction the orange and higher stages of spiritual intelligence in their own traditions... That is perhaps the most important role for religion in the modern and postmodern world, acting as a sacred conveyor belt for humanity. You may also subscribe to all posts or all comments on this site via the popular blog readers below.